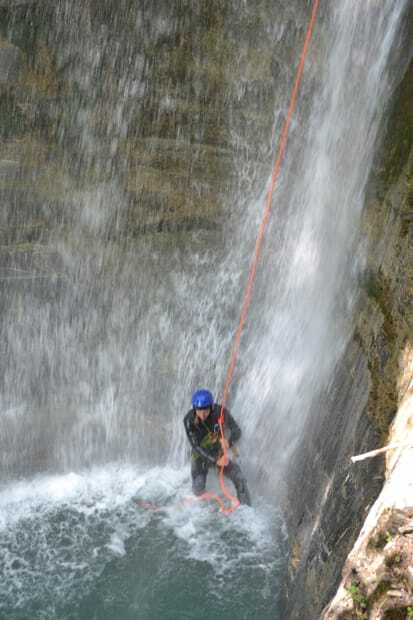 Canyoning takes you down ravines into areas most people never get to see. You follow the river's natural course and make the most of everything it has to offer, from natural flumes to abseiling down thundering waterfalls. Going with an english speaking guide you'll be taught how to negotiate the slippery rocks, how and where to jump safely, which chutes are good to slide down and how to walk confidently down the canyon. 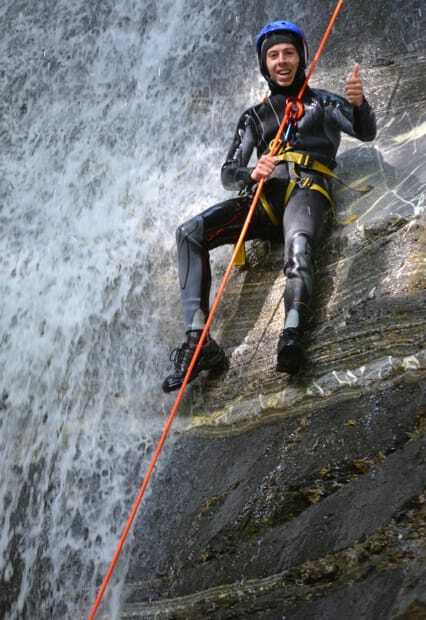 We recommend everyone to take our short quiz to double check canyoning's for you - while many people love the opportunity to learn more about abseiling, jumping and sliding your way through a gorge, for others it's less fun! 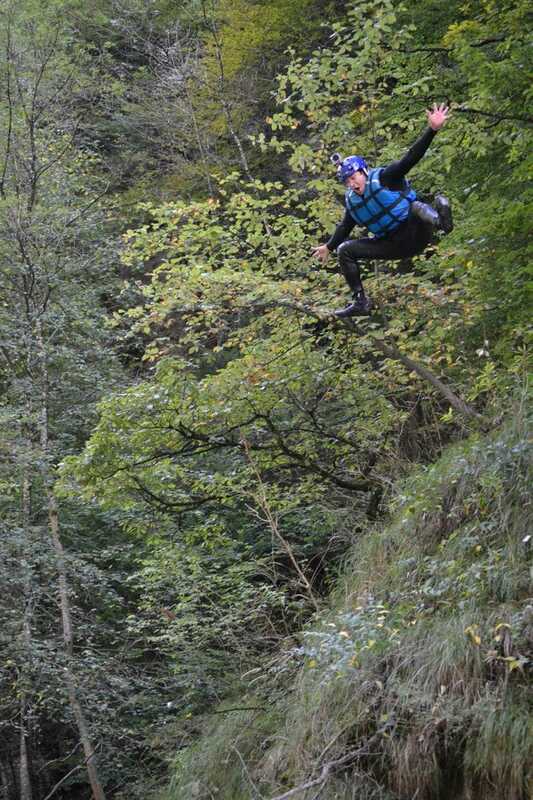 Our quiz will help you work out if this activity is for you : Canyoning Quiz - prepare yourself! Frogs Rafting provide wetsuits, ropes, harnesses and helmets, as well as transport to and from the canyon. Guests should bring a pair of sturdy trainers (or let us know if you don't have any: we may be able to provide some if you let us know your size! ).